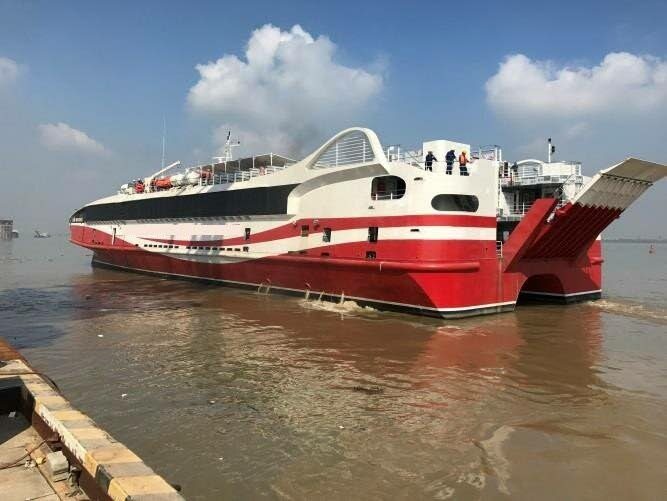 THE new ferry Galleons Passage is now about 13 days late on its way to TT, owing to factors including unforeseeable bad weather, Acting Prime Minister Colm Imbert has said. Imbert said the vessel is now heading to Mexico, then Panama, Santiago de Cuba and Port of Spain. He said as of last night, improved weather had led to the ferry now travelling at 11 knots. “So there was a delay. I’d say ten days in Hawaii, and maybe two or three days on the way to Mexico. About two weeks’ delay at this time. “But these are not things you foresee.” He said the US authorities had opted to do a complete inspection, just as had also earlier happened when the vessel had reached Japan. “One of the issues is the presence of fuel containers on the deck, because this boat is travelling 3,000 miles.” He said the US authorities opted to inspect these portable fuel tanks. “These are things you don’t plan for but happen as you go along. He said NIDCO has engaged the international ship manager and is in charge of the vessel’s arrival. Reply to "Colm: Galleons Passage two weeks late"